The ICHA will host a “Charity BBQ” for the Nampa Firefighters Charity Funds. Saturday, March 23rd from 11:00 to 2:00 in the concessions area of the Idaho Horse Park in conjunction with our ICHA Weekend show. The fun part is they are hosting a BBQ with amazing food by Brent Reynolds and his amazing rubs! Community outreach is strong in Nampa, Idaho. The energy is amazing and inspiring. Think for a moment, if you will, about what comes to your mind when thinking about the fire department? Is it heroes, loud sirens and big red fire trucks? Perhaps… or is it, firemen and women who go without sleep to protect you and your loved ones, or is it who you have to call when there is trouble, or just men and women of genuine kindness? Truth is, it is true heroes who are on the job all the time, and meeting the needs of the community whenever they can. 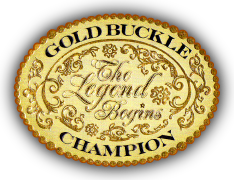 What happens when horsemanship, meets heroism? When our western culture embraces the community, I will tell you it begins to thunder in the rain. It’s not just the thundering of hooves that happen during the ICHA Spring Aged Events and Weekend Shows, there’s a whole lot more going on than you might think during the five day ICHA Spring Aged Event and Weekend Show. And this year we are inviting everyone out to see what is really going on. For several years it has been the passion of Sue Marostica, ICHA Coordinator, to engage the community and introduce them to a lifestyle, if only for a day, that can ignite thinking and create lasting change. Her noble efforts in working together with Idaho State Tourism, and continuing to bring in visitors to the incredibly beautiful state of Idaho, have been challenging; but, often times the challenge was right here in the backyard of the community. “I want people to come out and have fun; there aren’t many places you can go to have a free day of entertainment.” Sue continued, “I want everyone to feel welcome. I strongly believe that when communities come together change begins. We get involved and find ways to help each other continue moving forward. It’s a barn building philosophy that I strongly believe in, have raised my family with, and hearten everyone I meet to take part in.” With the help of the ICHA Board of Directors, and the incredible staff at the Idaho Horse Park, Sue is finally realizing her dream of change. Just ask Eric White, Treasurer and Kirk Carpenter, Secretary, for Local Union 804 how coming together with our equestrian families has built a better tomorrow for our local community. “We are truly indebted and greatly appreciate the support we have received from the ICHA.” Kirk said. Because of the amazing support from the ICHA this local unit has been able to expand their dreams into the “Nampa Fire Fighters Charity Fund”, The Nampa Fire Department consistently defines needs within the community and reaches out to meet them. The Fireman at the Nampa Fire Department is thrilled with what they have been able to do and the impact it has had on struggling families within the community. Kirk passionately stated, “We are fireman and we love to help people that is what we do and why we do it. It is who we truly are!” He continued, “With the help of the ICHA we have been able to go out and fill real needs within the community. We can go to a house and notice a single mother doesn’t have enough food to feed her kids, and make sure they eat.” They are very discreet about the help they offer. “This one day BBQ that we have during the ICHA event is a launch for the Fireman’s Charity Fund throughout the year; it enables us to create a huge difference within the community. We use to have to always try and spend energy creating funding, and then have minimal funding that required intense monitoring on what we could do.” Kirk continued, “For example, recently an apartment complex burnt down and four families lost everything. We were now able to help all four families. We could house them temporarily, until they could be relocated into a permanent home and get them back on their feet. Before the support from the ICHA we may have only been able to help by giving each family $100.” Having the ability to help out in such a huge way and fill the needs means so much to the Nampa Fire Department, and to the families receiving the help. The Nampa Fire Fighters Charity fund impacts many different needs within the community with projects like Project Warm, where they are able to gift coats to children who are identified discreetly and need to be warm. Kirk said, “There are a lot of families struggling out there, being a dad myself, I have 5 kids, ranging from the ages of 6-18 and my wife is a great stay at home mom. I have empathy on what it takes to financially meet the needs of your family, and it’s not always easy. I want kids to be warm and not be embarrassed by receiving a little help.” During Thanksgiving and Christmas, Project Warm is hard at work keeping kids’ warm. They also make sure to pay for buses so kids get to safe places after school, throughout the year. Project Playhouse is another close to the heart project for the Nampa Fire Fighters Charity Fund. Eric said, “We are inviting other agencies to come out and build playhouses. We will raffle them off to raise money for funding that is needed badly within CASA.” Eric continued to explain that a legal guardian will be appointed to each child released back to their environments, for as long as needed to ensure that they are safe. This guardian can make sure things are going well in school, have access to medical and important processes that often get overlooked because there isn’t enough man power or hours in the day. “This program will help make sure more kids are safely returned to their environments.” Eric said. Unfortunately, often enough the fire department gets called to these homes when safety has already been compromised. So this is a project that will help to keep kids a little safer in our community. After spending a brief amount of time with these two amazing firemen and listening to all that they do and are so humble about. I was so inspired myself to see how this one show that has embraced the community twice a year in Idaho makes such a huge impact throughout the entire year! The passion of Sue and many members of the ICHA and Board of Directors probably had no idea what a wonderful difference they were making while putting on such a great show in the community. 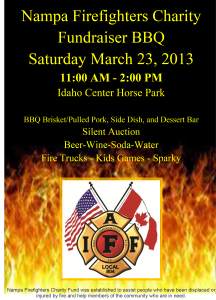 Come on Down March 23rd and share in all the fun as we spend time with The Nampa Fire Department, with a real hometown BBQ supporting all the great things they are doing. Eric and Kirk both agreed not only is it for a great cause but they have so much FUN at the event! !